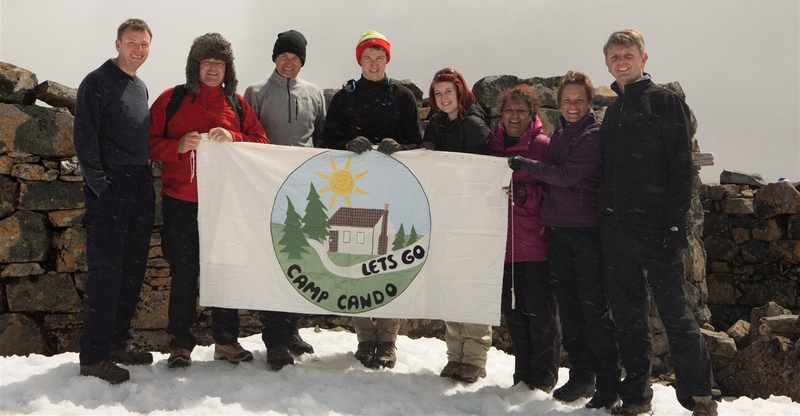 The success of the activities of Camp Cando is reliant on the generous support of our donors. If you would like to organise a fundraising event on our behalf please do not hesitate to contact us. Alternatively to make a donation please click on the ‘MAKE A DONATION’ button below. If your organisation would like to make a donation to support one of our activities or the entire week please contact one of the team who will be happy to talk through your aspirations. For contact details please click here. This could be funding for activities including the trip to the zoo, sports/games equipment, arts and crafts equipment or simply a selection of foods for our very hungry campers and even more hungry helpers! As well as the individual and team fundraising activities (see below), we would like to take this opportunity to thank our corporate supporters who have very kindly donated to our continued success. Plans are underway for a quiz night – more details will follow in due course. Hadrian’s Wall walk was completed over the Easter weekend 2014. Participants were Mark Cocker, Carl Cocker, Julie Matthews, Steve Smith and Mark Drummond. We had a successful pool and darts night at Wickford Snooker Club arranged by Ian and Carol Drummond and raised £355. Thank you to everyone who joined us on the night and special thanks to Ian and Carol for your continued support and fundraising achievements. Once again Astro Communications have donated £500 for which we are eternally grateful. Beverley Lowry took part in a 5k run on 7 July 2013 and raised £165. Thanks to Beverley and all her sponsors. Huge thank you to Carol Drummond and team for the Casino evening held at Grange Primary School in Wickford on 5 July 2013. The evening raised £680 and was enjoyed by everyone who was able to come along. One of our volunteers, Lyn Corderoy recently completed a sponsored cycle ride from John O’Groats to Land’s End and raised over £2,000. We would like to take this opportunity to thank all Lyn’s sponsors. A team of helpers completed the Three Peaks Challenge by climbing Ben Nevis, Scafell Pike and Mount Snowdon over the Golden Jubilee weekend 2-6 June 2012. We raised over £5,000 and was also grateful to Allied Van Hire in Billericay who very knidly donated the use of the minibus for our transportation. Helpers who participated in this event included Steve Smith, Trupti Mistry, Ed Hellawell, Mark Cocker, Carl Cocker, Vicki Reed, Andrew Matthews and Julie Matthews. We would like to take this opportunity to thank all our sponsors. Julie Matthews also took part in the London Marathon 2012 on 22 April, although sporting a long-term injury she managed to complete the circuit in 6 hours, 47 minutes and 4 seconds. Julie raised £1,000 and we would like to take this opportunity to thank all Julie’s sponsors.